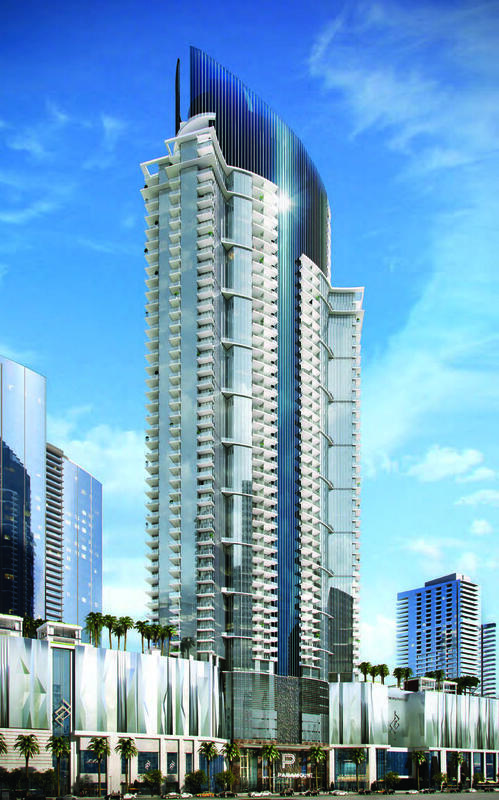 Paramount Miami Worldcenter has released a new breakdown of sales, according to broker Michael Light. Overall sales are equally split between east and west facing units. However, the design includes a smaller inventory of east-facing units, meaning a higher percentage are already sold. 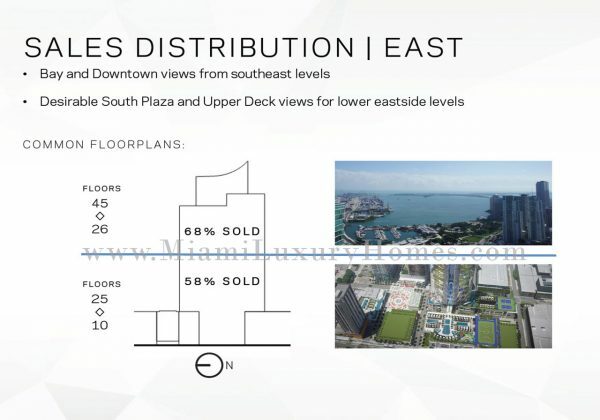 In total, 61% of east-facing units have been sold, with 68% of east-facing units above the 25th floor in contract. The lower levels of the project have also been redesigned, due to the switch from enclosed mall to high street retail. An amenities deck that was supposed to be on the 9th floor will now be on the 7th level, since the high street retail will have a lower overall height. New residences have been added to the eighth and ninth level instead. Another level of amenities including business center, yoga studio, half-court basketball court and a racquetball court have also been added. happy to see this getting off the ground but to make so much land just low-rise retail is disappointing. surely they could find a better use for that land or hold out for another developer while building the tower. This is the area to develop new projects ….. no more condensed areas with collapsed traffic like Brickell…..
What Bayview? There are no bayviews. All blocked by Biscayne BLVD buildings. With so many amenities, I can only imagine the association fees. Congrats to MWC.. looks like it’s finally getting built. I am surprised buyers are still into buying developments with a ton of amenities that at the end they might not end up using, but they will definitely need to pay for them for the rest of their lives. I owned 5 condos in Miami (investment properties) and I would love to invest in nice properties that have little maintenance, and condo association; and I believe this will be key for the next cycle since Miami now offers shopping, entertainment, gyms, etc; all within walking distance as long you are in downtown or Brickell….so people rely less on condo amenities.